Round faces offer a soft, gentle and fun-loving appearance; the girl next door appearance. It’s a great face shape for many hairstyles. This gallery showcases an amazing collection of hairstyles for women with round faces. We hope you get some inspiring ideas for your cut if you have a round face. Below you’ll find 100’s of photos for 2019 to get ideas whether you have short, long or medium-length hair. All colors and hair types too. Great gallery. Short haircut in a bright blonde shade, parted uniquely emphasize darker roots. Medium-length, angled bob cut with straight hair for blunt bangs. Neat and straight bob cut enhanced with blunt bangs to perfectly frame round-shaped faces. Thin blonde hair in medium length with blunt bangs. Cutting hair into a blunt finish creates an illusion of thickness so this style is recommended for those with thin hair. Long and thick blonde hair styled into this flawless milkmaid braid. The thick, wavy tendrils on the side frames the face perfectly. This hairstyle is great for wedding ceremonies or even for garden parties. Long but thin dark blonde hair styled into a classic milkmaid braid. Some strands of the lady's hair are then teased and tossed to end up with textured tendrils. No doubt, curls create a playful volume to any hairstyle. Perming your thin hair will help you achieve that thicker and fuller look, just be sure to use essential and natural hair oils because thin hair is more prone to damage. A short and spiky pixie cut gives round faces a bit of an edge and contour. Who says colored hairstyles are only for millenials? A pop of color looks pretty refreshing for women over 50s. This rose pink shade on a simple bob cut softens the facial features. A bob cut with bangs and flipped ends. This style, with some pop of color, looks really youthful and timely. Thick and wavy hair in an angled bob with edgy bangs. This look is definitely a beautiful execution of the popular Just Woke Up look. Be loud and proud! Flaunt your face shape with this cropped pixie for especially styled for thin hair. An asymmetrical bob cropped in one side. This is the perfect look for those with round faces who wants to draw the attention away from their soft edges. A bob cut with white and gray tones, brushed back for a beauty like not other. This style created a nice height and depth to the look, perfect for round faces. This classic asymmetical cut looks good on women with round faces. The side bangs lengthens the face while the stacked strands at the upper back part creates enough volume to balance out the look. Sleek, silver bob for those girls with round faces. In this one, the the cut has deep parts and face-framing strands that swoop over the face, covering the round edges. Women with round faces have their cheeks often emphasized. This type of hairstyle is a great way to frame the whole face and draw the attention to the tousled waves. Trendy gray bob cut for round faces. Adding some extra bangs will lessen the width of the face, drawing the attention on other facial features especially the eyes. 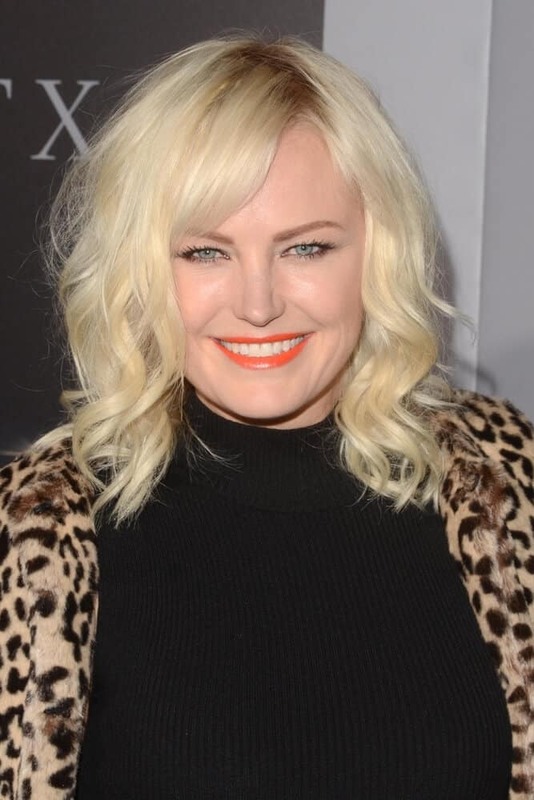 Malin Akerman exhibits nothing but elegance and beauty with this medium-length hairstyle with curtain bangs. This style is worn during the Entertainment Weekly Pre-SAG Awards Celebration last January 28, 2017. The actress wore a slightly tousled, wavy bob with side bangs at the LA Special Screening of The Space Between Us last January 17, 2017. The actress attended the Billions Season 2 Premiere at Cipriani's last February 13, 2017 with this sleek and straight hairstyle. There really isn’t a “one cut is best” for round faces. Same thing with styling, colors and length. Because there’s more to the right cut or style than just face shape. There’s face color, facial features, hair type, ear shape, neck length, eyes, head shape, etc. All of these factors dictate what kind of cut looks best. 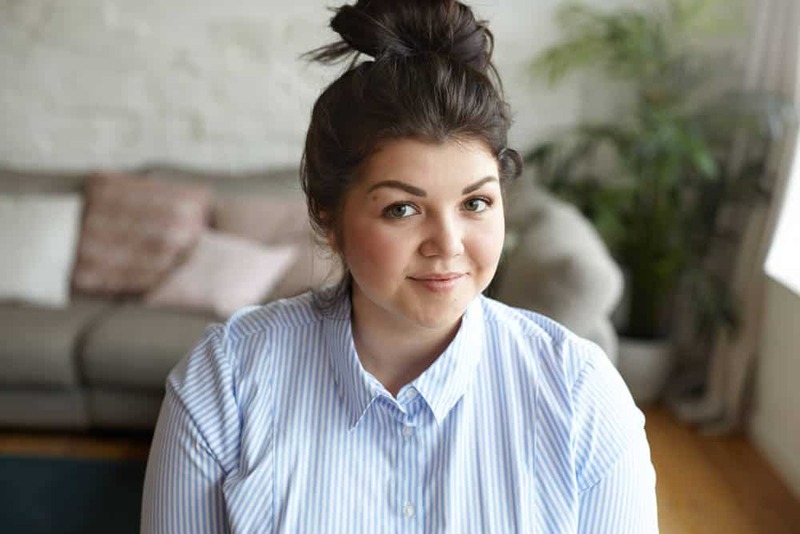 The best thing to do if you’re thinking of a new style is to browse photos of women with round faces and check out their similarities to you and their haircut. While you can’t get a perfect match because no two people are identical, you can definitely get some inspiration. You should also definitely consult your hairdresser or stylist as to options. In fact, in my view, it’s part of the job a hairdresser to advise as to the right cut for any client unless a client is certain with what they want. If your hairdresser doesn’t advise you or gives bad advice, it’s time to find someone who will work with you in this capacity. Of course, this is only the case if you want advice. Some people don’t, which is fine too. At the end of the day, unless it’s your wedding or some major event, a wrong cut or style isn’t the end of the world. Hair grows back and it can be fixed down the road.